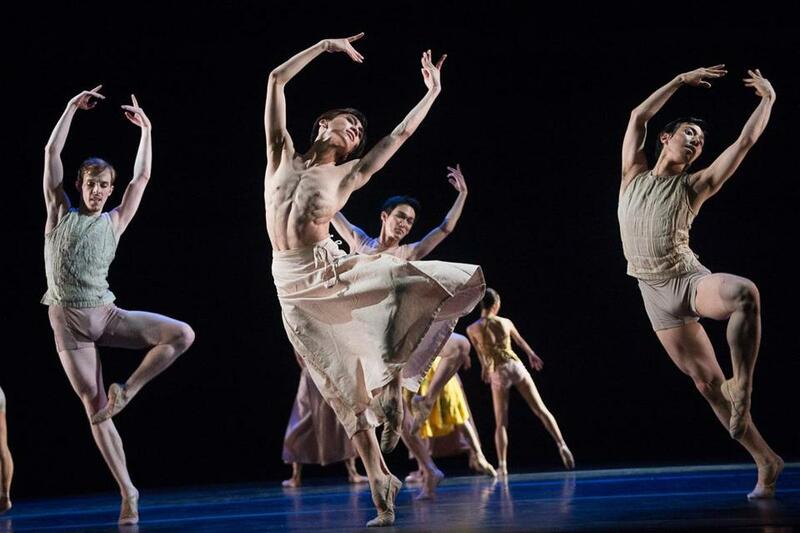 BECKET — In its second visit to Jacob’s Pillow, the Hong Kong Ballet opens the celebrated dance festival’s season with a striking, cosmopolitan program that reflects the company’s diverse makeup. Under the expert leadership of Madeleine Onne, the group seems even more of a cohesive unit since its 2012 Pillow debut, and a number of individuals boasting generous artistry and technical prowess bathe the company in a warm glow. While the triple bill is a kind of roller coaster experience — up, down, up, some thrills, a bit of queasiness along the way — constant is the dancers’ commitment: to the movement, of course, but also to the scope of each piece. Repeatedly, a right tone is struck; these are not mannered, fussy dancers who cant enigma into melodrama. Indeed, in the pas de trois from Bo Fei’s 2011 “A Room of Her Own,” Fei-fei Wu, tasked with conveying a woman’s inner turmoil, tells us everything in the austerity of her movements. The slightly tweaked title and the writing desk onstage signal that the piece launches from Virginia Woolf’s 1929 essay. But Wu explains much simply from the way she holds her slim body erect one moment before some thought or remembrance ripples from within, then crumples her. Miao-miao Liu seems less “the other woman” than a figment of Wu’s imagination, or maybe of Jia-bo Li’s; it is Liu and Li who share the majority of the partnering, the diaphanous Liu often ending up wrapped onto, or cocooned into Li while Wu trails behind, trapped between yearning for the physical world and a private realm of ideas. If “A Room” left me wanting much more, Nacho Duato’s 2002 “Castrati” is too much, the subject matter too serious for a short, abstract dance. But the off-notes here are Duato’s; the cast of nine men, led with a simple pathos by Jie Shen, softened its more over-the-top moments. Duato attempts a narrative, but with such a heavy hand that the jagged fits and starts often feel trite rather than — given the appalling subject — devastating. For a few moments after its limpid, sweet opening — Si Yuan Zhang and Wei Wei executing a series of movements as if practicing in a studio, private little smiles on their faces — Krzysztof Pastor’s 2000 “In Light and Shadow” also threatened to be too much, this time not in histrionics, but in sheer exuberance. The spare melancholy of the opening aria from J.S. Bach’s Goldberg Variations is followed by the composer’s brash yet regal Orchestral Suite No. 3, the quiet studio now a buzzing stage as 16 dancers begin with swooshing, circling port de bras before bursting out into simple steps that finally swell into a bouyant allegro. From there an avalanche of dancing just keeps brimming and spilling over, exits and entrances overlapping, solos or groups forming and dissipating. Pastor deftly — but surely it is with a magician’s hand! — keeps the near-chaos always within a structure. Somehow, everything belongs here: a cheeky women’s section in which only their lower legs are fully lit, a haunting male solo, two side-by-side but stylistically miles-apart duets. Tatyana van Walsum’s costumes, a potpourri of color, texture, and style, could be incongruous but instead are a fabulous match, more punch for the party. The dancers, meanwhile, just nail it with their sincerity, the truth of their joie de vivre.